Sample of the form that is used to source / qualify the lead? What are the post code area sizes? 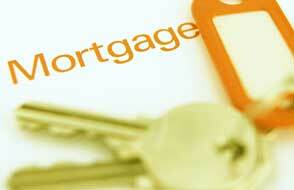 What is the average lead size in terms of mortgage required? We do not have a bidding system in place. We sell our leads on the basis that we sell our leads at one price no matter what the loan size or term of Mortgage. What is your claims process in the event of leads being non contactable or not being a genuine lead? http://www.mortgageangels.co.uk/faq#How_to_request_a_refund. All leads need to be requested via your personal admin area. Leads are sent in real time and are exclusive to you and you are under no obligation to take another batch once you have received your quota. Leads are generated from our websites; we target our databases and have affiliate forms on partner websites. Applicants receive an e-mail from us to say you will be calling them. You will receive a text to your phone, e-mail and a log on to look at your leads on line. Leads are payable up front via debit/credit card. Here are some of the questions which people frequently ask about Mortgage Angels. If your question is not answered here, pleased get in touch with us! How quickly do I get the leads? What if I happen to get a 'Bogus' lead? Can mortgage leads be suspended? Are we tied to you if we sign up? Does anyone else receive the same mortgage leads? Ok sign me up, how do I get going? Every UK lead that we send to the mortgage adviser is forwarded within seconds of the consumer that is interested in mortgage/life insurance advice, completing an online questionnaire. The leads are distributed automatically by email & text via our automated mortgage lead distribution system, so your potential customers still have their requirements foremost in their mind when you contact them. Our mortgage and Life Insurance leads are of the highest quality and have a proven conversion rate to written business, obviously this varies according to the quality of the mortgage adviser, but anyone would have to agree that even a 25% to 30% conversion rate is outstanding for any lead. We operate a simple pricing structure - The prices range from £20.00 to £47.00 per lead. No loss of valuable sales time in checking if your bids are up to date! We believe this is not only the cheapest you will find but the quality will also be superior. If you ever see leads cheaper please tell us. Volume discounts apply for purchases over 50 leads. We take payment via debit/credit card or via BACS, all payment are payable upfront. Yes, in order to get the best from the leads we believe that you must be regularly buying leads., We ask that you buy our mixed bag mortgage leads in batches of 10 and life leads in batches of 5, you are not obligated to take another batch, but we do advise that you do take leads on a regular basis, this will enable you to start receiving your pipeline and continuity of business. We send all leads to you 'In good faith' but occasionally, due to the nature of the Internet, you may receive a lead that falls short of our high standards. We operate a very simple to understand replacement policy. We are a fair company. We will refund leads that we can test to be incorrect. Please Log onto mortgageangels adviser website. Once logged in, you will have a page called MA Today. Click on the leads tab. The screen now will show you all the leads that you have received. The most recent lead is at the top of the page. On the left had side of the screen there is an view button to view the specific lead. Click the button. Now you can view all the information for that lead. *If you are unsure of your password then contact us and we will be happy to set a new one up for you. Yes you can, just give us a call on 0845 672 6000 or e-mail on advisers@mortgageangels.co.uk with the date to restart your leads. No - Advisers opt to buy leads upfront which means they do not need to enter into a contact with us. We generally advise that advisers do take more then one batch of leads, as this will help them to start receiving a pipeline and with the rollover of leads, they will start to see the continuity of business. Every lead that we generate is only sent to one mortgage broker and one mortgage broker alone –Totally exclusive and our leads are not resold. If the lead would have been prevented from going through the system on submission had it been manually checked, i.e. lead name: dghdshd or Donald Duck. If the lead has been duplicated through the system. This is subject to a 5-day maximum duplication limit. If you receive more than one enquiry from the same customer within 5 calendar days this may be submitted for assessment as a duplicate lead. However if a customer does make a further enquiry after the 5-day period this is considered to be a second enquiry and not refundable i.e. the advisor has not contacted the customer in good time or the customer is not happy with the advice given. Where it can be proven the lead is a non-UK national or non-UK resident. If we can confirm the contact information does not relate to the customer name provided. If the lead is greater than 4 days old (the effective timescale for this begins at 00.01hours on the day the lead is received ). If you have not tried all the contact information supplied on the lead. If we can confirm the name supplied on the lead is connected to the contact information provided by the customer. This includes work numbers and family members, i.e. same surname, husband, wife or relative. If the email address returns a response from the customer when tried. Where we can obtain a usable telephone number for the lead name and address from directory enquiries (or online equivalent). If the customer has entered incorrect information regarding the intended amount of mortgage or Life requirement. Where a customer has clearly stated on submission that they require Mortgage or Life Insurance advice. Submit all requests via your login within 4 days of receipt. Refrain from submitting requests more than once. The terms and conditions set out herein apply to any agreement between Mortgage Angels (MA) and you pursuant to which Mortgage Angels will refer leads, generated by our web sites and affiliate sites, in consideration for which you shall pay to Mortgage Angels the payments specified in paragraph 4.3 of the Terms and Conditions. The agreement shall commence on the date specified in the Confirmation email and shall continue until terminated in accordance with paragraph 5 below. 3.1 MA reserves the right not to enter into an agreement with you, without explanation. 3.2 On acceptance MA will send out a Confirmation email that will start this agreement. The agreement will continue until terminated in accordance with paragraph 5 of these terms and conditions. 3.3 MA will source leads through all of its web sites and associated web sites. 3.4 MA will email the Lead swiftly to you without delay. 3.5 MA cannot guarantee that the Lead will be converted into business. MA will not refund any lead that falls outside of MA's refund policy - Refund policy available at www.mortgageangels.co.uk/about_leads..
3.6 MA may send out questionnaires to you and/or the Enquirer with regards the lead mechanism to obtain feedback. 3.7 MA is not obliged to supply you with any Leads. 4.1 The leads will be delivered by email to you 24-hours a day. You will endeavour to telephone the enquirer within 1 hours of receipt of the Lead to acknowledge the application and discuss the enquirer's requirements. 4.2 You will be responsible for all dealings with the Enquirer once MA has referred the Lead to you. You should make it clear to the Enquirer that you are acting as an independent adviser and shall at no time present yourself as an agent of MA, or the web site that sourced the lead, any other lender or any other agent or group company. 4.3 You shall pay the sum, as described in MA's current price list (available on request), demanded for each Lead whether or not the Lead is converted into business or not. 4.41 Direct Debit - MA shall deduct the fee by direct debit from your nominated bank. It is your responsibility to inform MA of any changes, renewals or updates to your bank details. All invoices will be issued in arrears on the 1st of each calendar month. Payments made by direct debit will be collected on or after the 3rd of the same month. 4.42 Credit Card - Payment for adhoc or upfront purchases of leads. You can elect to register your Credit Card details once for repeat transactions. After successful collection of payment, our online credit card system provider allocates a unique 'transaction reference', which we send through to our payment service provider on every repeat card transaction - the whole process is encrypted, so there is no storing of any card details in our database. It is your responsibility to inform MA of any changes, renewals or updates to the nominated card provided. An invoice will be issued on each lead provided. 4.5 Pricing for the leads will be reviewed on a regular basis. You will be notified of any change to the fee by email subject to at least 10 days notice. Any commission split is waived if payment for the lead is made in advance of that commission becoming due. Each lead, sent to you by MA, must only be serviced by yourself or representative of your company or the company you work for. You must not on sell leads without the prior knowledge and agreement of MA. 4.6 You must co-operate with MA with regards to feedback and must return any questionnaires sent out by MA within 7 days of receipt. 4.7 In performing your obligations under this agreement, in connection with MA, You shall act in good faith, exercise all the due skill, care and diligence that would be expected of a professional independent adviser. You shall ensure that Your conduct of business in connection with MA and the scheme shall comply with all applicable rules and requirements. You shall not act in a way that could have an adverse effect on the reputation of MA, or the web site from where the Lead was sourced or any other company. All lead purchasers must be FCA registered. A valid FCA number is required and will be verified to the FCA register. 4.8 You must immediately notify MA of any revocation or alteration to any licenses, memberships, authorizations which may affect your ability to perform your obligations under this Agreement. 4.9 In consideration of the introduction of leads, You agree to indemnify MA, and all associated companies of MA against all damages. claims, expenses and other costs incurred or as a result of the introduction of enquirers to you whether during or after the termination of this agreement. 4.10 It is the intention of the parties that the indemnity will continue to exist during any relevant limitation period not withstanding the termination of this agreement for any reason. 5.1 Where a minimum monthly purchase through Direct Debit applies, at the expiration of the minimum contract period of 3 months and subject to a minimum purchase of 10 leads per month, either party may terminate this agreement by giving 1 month's notice, at the end of the second month in writing, or by emailing such notice to the other. Any termination emails to MA must be sent to advisers@mortgageangels.co.uk. 5.2 All Terminations will be acknowledged and confirmed by MA by email. You may be required to produce this confirmation email in order to validate any refund requests submitted after termination, MA reserve the right to refuse refunds outside of its refund policy without a valid termination confirmation email. 6.1 In the event that You fail to make payments for Leads in accordance with this agreement but are owed at the same time monies by MA, or any of it's associated companies, then You irrevocably consent to MA setting off those monies owed against those sums owed by them to You. 6.2 Upon giving notice to terminate your agreement with MA, in accordance with section 5 above, MA may continue to provide you with leads, which you will pay for until the minimum purchase has expired. MA gives no warranties, express or implied, in respect of any information contained on its web sites and you agree to accept that the information is to MA's reasonable standards and does not obviate the necessity of you checking all the information provided in giving advice to the enquirer. MA shall not be liable to You for any breach of these terms and conditions of use or any failure to provide or delay in providing our services through our web site resulting from any event or circumstances beyond our reasonable control including, without limitation, breakdown of systems or network access, fire, explosion or accident. The contract between us shall be governed by and interpreted in accordance with English law and the English Courts shall have jurisdiction to resolve any dispute between us. MCOB 3.7.3 - This rule bans firms from making 'unsolicited real time promotions' (cold-calling), unless they have an established existing customer relationship with a consumer. Visit the website and click on the Sign up / Logon tab. If you have not registered before you will need to enter your details. If you are an existing client then you will need to enter your password or request a new one to access your account. If you are unsure then please call us no on 0845 672 6000, and you can start receiving leads immediately. Existing advisers log in here. There may be a fee charged for mortgage advice, this amount will depend on your circumstances but we estimate it will be £295.